Not everyone can afford to take their kids to the the zoo, so when we discovered this hidden gem of a place, we just couldn’t wait to share it with you. We found out about this great park from a dear friend who didn’t even know this park existed herself and she’s local! If you haven’t been here before then you wont want to wait too long. It’s a great place for a day out with friends or family. A free wildlife exhibit with separate enclosures for kangaroos, wallabies, emus, and a few different varieties of birds (cockatoo, western corella, geese, waterfowl). sheltered picnic tables and BBQs with plenty of tree shade. kiosk can be hired for functions at reasonable rates. large open grass areas all on 12 hectares of natural bushland. Vehicle entry to the park is free, however on weekends and public holidays the car park can get full so many people choose to park their vehicle outside on the side streets. You can access the park from two entry points. First entry is from Merrylands Road and second entry is from Paton Street. As soon as you enter the car park from Merrylands road you will see lots of picnic tables and the huge pond with the waterfall. A great spot to have a picnic lunch. Toilet block is also located near the entrance by the picnic area for your convenience. After lunch the kids can enjoy the wildlife exhibit. No feeding of the animals is allowed. My 2 year old daughter just loves it here. The animals are enclosed behind mesh fences so the fact she can walk safely around the different enclosures and still see the animals is fantastic and she loves watching the kangaroos and wallabies. After seeing the wildlife exhibit it’s time to head of to the playground, located just outside the wildlife exhibit, where the kids can burn off some more energy. I love this playground. It”s perfect for toddlers and younger kids and has exciting bright colours and some pretty cool climbing structures, bridges, monkey bars, slides and rockers. My 2 year loved this playground so much she didn’t want to leave. It’s fully shaded too! bright colourful play structure that includes grid climbers and bridges, slides, monkey bars, counting beads and spring rockers. playground from a different angle. Great for younger kids and fully shaded! This is such a picturesque location, I had a lovely time with my 2 year old watching the ducks on the water. Sometimes when we come here we like to bring some bread and go to the viewing platform to feed them. It’s such a beautiful location with the waterfall and pond and a great place to get some great family photos with the kids. The wildlife exhibit opening hours are until 4pm daily, and the rest of Central Gardens is open till 5pm in winter. There is parking available from both Merrylands Road and Paton Street. For further information you can visit the Cumberland Council website. This is a great place to host a kids birthday party. 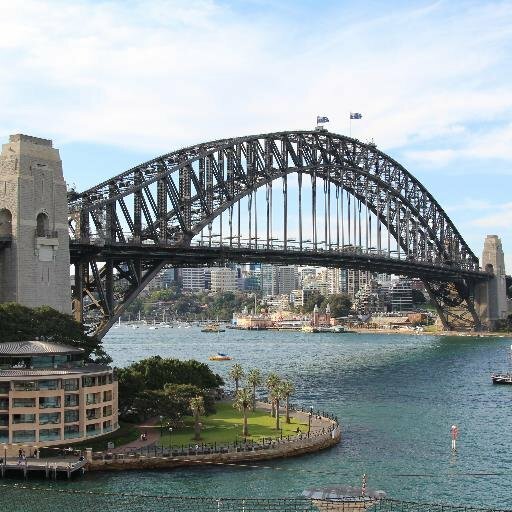 Be sure to add this to your list of places to visit in Sydney.